Covering more than 106 acres of parkland, Kings Domain is characterised by sweeping lawns and is located adjacent to the Royal Botanic, Alexandra and Queen Victoria gardens. Within the domain, there are a number of sculptural and botanic features, including the sunken Pioneer Women’s Memorial Garden and The Grotto, a lush fern gully. The Domain Gardens is also home to the Shrine of Remembrance, a striking memorial to Victorians killed in active service; Governor La Trobe’s Cottage, the original Victorian government house; and the Sidney Myer Music Bowl, an outdoor performance venue used for concerts in summer. Behind the shrine is one of the city’s most significant trees, a solitary Calabrian Pine germinated from a seed brought to Australia by a young returned soldier who fought at Lone Pine in Gallipoli during WWI. The domain is circled by the tan, a four-kilometre path that was once a horse exercising track and is now a favourite with city joggers. 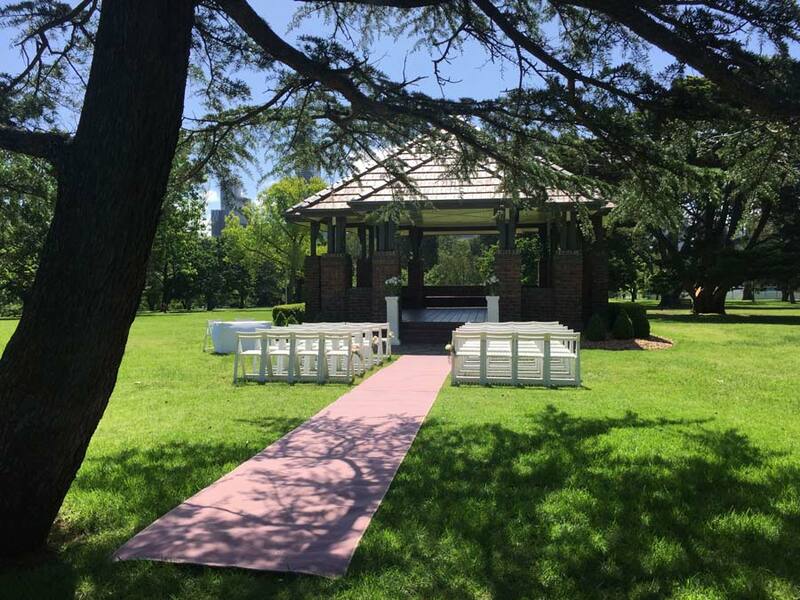 There are a number of ideal wedding ceremony locations within the Kings Domain, of which the Pioneer Women’s Memorial Garden stands out as the most ideal.